Fantastic read. I love the type of novel that contains current day and historical periods. This book has the historical story of a slave and a current day story of a woman trying to find ancestral information for this slave girl. Very moving story. This was a really good read. The house girl and her relationship with the Mrs was a genuine caring relationsip. Very creative wuth how their story made it to current day life and the impact it hadvon others. 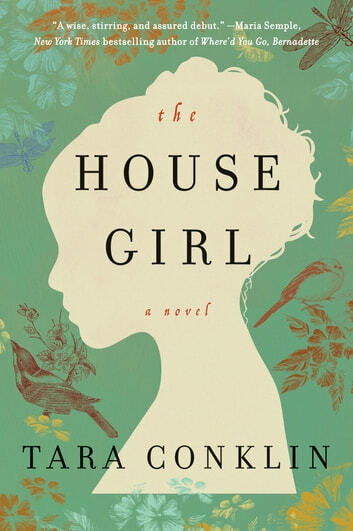 I enjoyed this book, and was impressed with the depth the author gave the characters from the 1800's. The descriptions of how the young girl lived and was treated, and the other slaves owned by the farmer were at times hard to take, but I believe just a brief glimpse into how these people were actually treated on a daily basis. The current day characters lacked this same depth, and at times the story seemed very disjointed and unbelievable. All in all, quite an enjoyable read. I definitely consider reading from this author again. I liked the book but I feel there were a lot of story lines left unfinished and wish they would have been expanded on. It was an interesting plot and something different from the usual slave era stories. Excellent, sad story in parts, but inevitable to make the story work but still a great read. Didn't want to put it down.